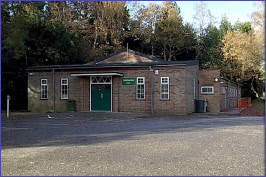 Coronation Hall in Woodhall Spa is the ideal venue for a wide variety of events, including Wedding Receptions, Dances, Classes, indoor Bowls, Bazaars, Table Top Sales etc. There is also a Five-a-Side open air hard court. The hall has ample off street parking facilities. 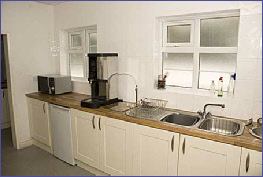 The hall offers gas fired central heating, modern fitted kitchen with double oven, water heater, microwave, refrigerator and Freezer. There is a new sprung mahogany floor, stage, lounge area, plus an outdoor five a side hard court.The hall was built in 1953 and after a few years was leased by Lincolnshire County Council. In 2008, following the expiry of the lease to the Council, the running of the hall was taken over by local Trustees. 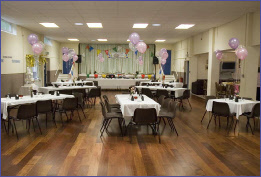 The hall had extensive work carried out by Lincolnshire County Council prior to the handover, which included installation of double glazing, fitting of a false ceiling, fitting of a disabled toilet and construction of ramps to facilitate disabled access. Last but not least a beautiful Mahogany sprung dance floor was laid. 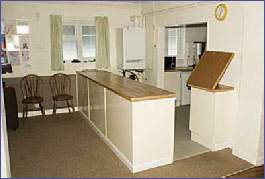 The Trustees then decorated the hall and over the next few months had gas fired central heating installed, with radiators to every area, including the toilets. This was followed by the installation of a completely new kitchen with modern double oven, water heater for drinks, refrigerator, freezer and microwave. 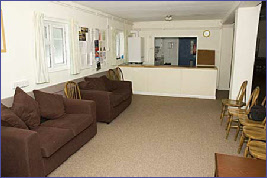 New carpeting was added to the coffee/lounge area and the entrance hall. 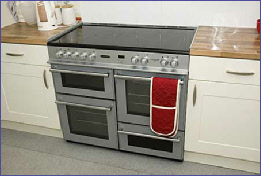 Other side of kitchen with double oven and cupboards.